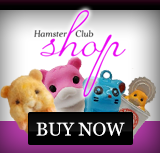 Hamster Club's statistics show that most hamsters usually die away from their nest. Very rarely hamsters die in their own nest. As you may already know, when a hamster dies, it is very hard and sad for a loving hamster owner to accept its death even though a hamster is a small pet. What should a hamster owner do after his/her hamster dies? When a hamster dies, you can re-use the cage and cage furnishings but make sure you disinfect these well - preferably leaving the empty hamster's cage and its furnishings in the sun for 2 days. Burial at home or cremation are two options when dealing with the disposal of a dead hamster. Some hamster owners prefer to keep the bodies of their hamsters and to bury them at home in the garden or in a small pot. 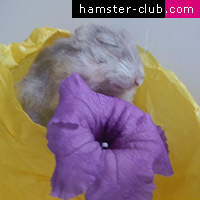 The hamster�s dead body can be wrapped in cloth or placed in a homemade coffin fashioned from cardboard packaging. Never bury your dead hamster wrapped in plastic because this delays decomposition of the body after burial. Burial of the hamster�s dead body should be as deep as possible and a covering of rocks or paving stones should be placed over the top to reduce any disturbances from birds or other animals. When burying your dead hamster in your garden and you move house, you may find it difficult to leave him behind...so the pot method can be used. You can use the same procedure but instead of burying your dead hamster in your garden, you may bury him/her in a pot. Always place some stones on the soil so that there won�t be any disturbances from birds or any other animals. An alternative is to ask your veterinary surgeon to arrange a cremation for your pet hamster. The body will normally be retained at the surgery from where the crematorium will collect it. Your hamster�s ashes are returned to you in a wooden casket with the hamster�s name inscribed on a brass plaque. The ashes may be buried, sprinkled or the casket retained as a permanent memorial. 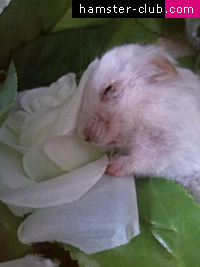 Feeling sad after your hamster�s death is very normal, that is why burial at home or cremation are two ideal options to conserve the hamster�s memory in your heart. 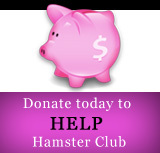 If you would like to read a hamster article about the process of hamsters dying from old age, then please click here.